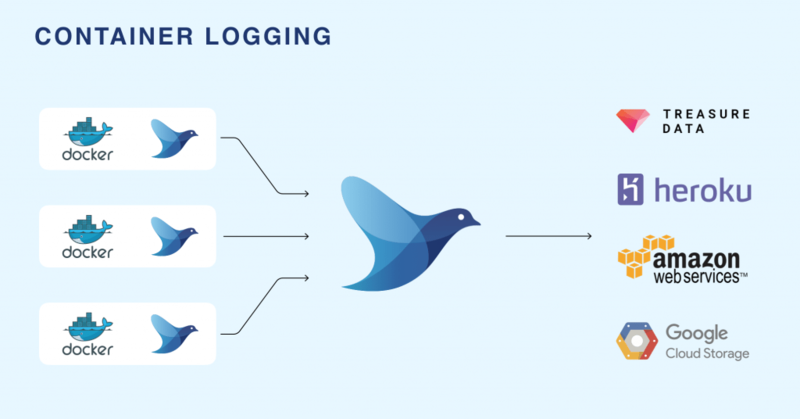 Maybe you already know about Fluentd’s unified logging layer. Maybe you are already familiar with the idea that logs are streams, not files, thus it’s necessary to think of a logging layer dynamically this way. source directives determine the input sources. match directives determine the output destinations. system directives set system wide configuration. label directives group the output and filter for internal routing. Our source directive tells us that we are using the forward input plug in, which tells fluentd to listen to a TCP socket to receive the event stream. This directive tells us to use the stdout plugin to print events to standard out. auto_create_table creates tables on the first instance. buffer_type file buffers to a file. buffer_path specifies the path the the buffer file, on our docker container. flush_interval 5s specifies a 5 second interval to flush the buffer and write to the Treasure Data table. Are you starting to see how this works? For more specifics on fluentd configuration and parameters, see the related article. Ready to see how fluentd works with Google Cloud Platform? Let’s look at a few different scenarios. Thanks to the Kubernetes team for making these configurations (and ones like these) available on github. Here, we’re tailing our logs in JSON and logging the results to Kubernetes. We have to work with the timestamp, so we’ve included the time_key and the time_format directives. Lastly, we’re tagging the data stream with kubernetes and the appropriate unique suffix. We’ve also specified a position file and set read_from_head to true. This enables us to stop and restart processing if, for some reason, our stream is interrupted. We can tail different messages, using regular expressions to look for parts of the message like format, level (severity), message, error (if any) and Status Code. Note that we must parse the time format on input. Again, we’re using a position file to keep our place in the stream. We should include a match section to route the data to a specific destination. Here, we’re parsing the autoscaler log, managing our buffer, queue and chunk sizes, and, in the cases of both destinations (namely, GCP and kubernetes), we retry forever. 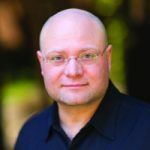 Would you to build the easiest possible logging infrastructure you can? Get Fluentd! Last but not least, get Treasure Data (you can sign up for a 14 day trial at treasuredata.com. You can always ask us if you need any help!